I always believe that we are all one; even looks separated from outside (different country, different culture, different believe system, and so on) but the truth is that we are all one. What so called reality, human, or earth is only what we can interpret by our eyes and brain. Quantum physicists discovered that universe is made up of the same energy that constantly vibrating; WE are all made up of same energy and vibration. That is why I am so grateful that AFS program helps many people all around the world to realize that we are all one. I met new family in Japan 5 years ago, they helped me to realize and learn so much! 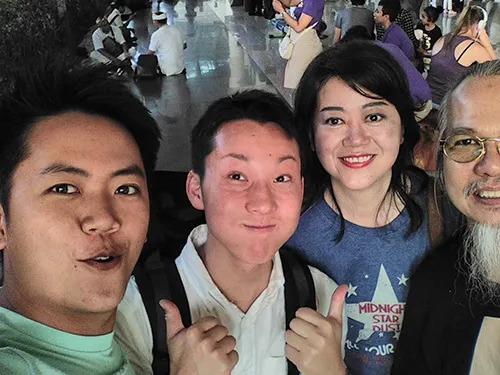 Last week my host brother from Japan came to Bali to visit me and my family; we had an amazing time! Thanks to AFS and JENESYS that made this experience possible.